New Road, Navan, Co. Meath - site 0.11 Ha. 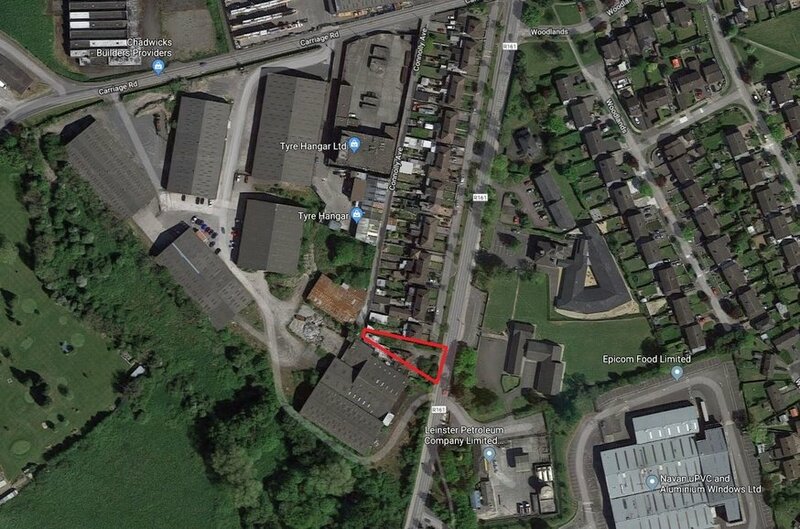 The site is located on New Road/Trim Road close to the centre of Navan and situated opposite a primary school and adjoining existing development including warehouses and residential dwellings. The site is located on the west side of the New Road / Trim Road in Navan and approximately 1km south of Market Square and a 50 km to the north west of Dublin city. New Road is a busy arterial route for traffic to and from the Town Centre and there is a wide mix of land uses in the area adjacent or nearby including, residential, industrial and educational. The property is beside Connolly Avenue to the north which is a terrace of residential houses. There are industrial buildings adjacent to the east and south at Dillonsland industrial estate. Directly opposite is the Flowerfield National School and Topaz fuel distribution centre. The property comprises approx. 0.11 Ha (0.27 acres) is situated in an area zoned B1 – Town Centre / Village Centre Dev plan 2015 ‘To provide for major new town centre activities in accordance with approved action area plans and subject to the provision of necessary physical infastructures’ under the Navan Development Plan. 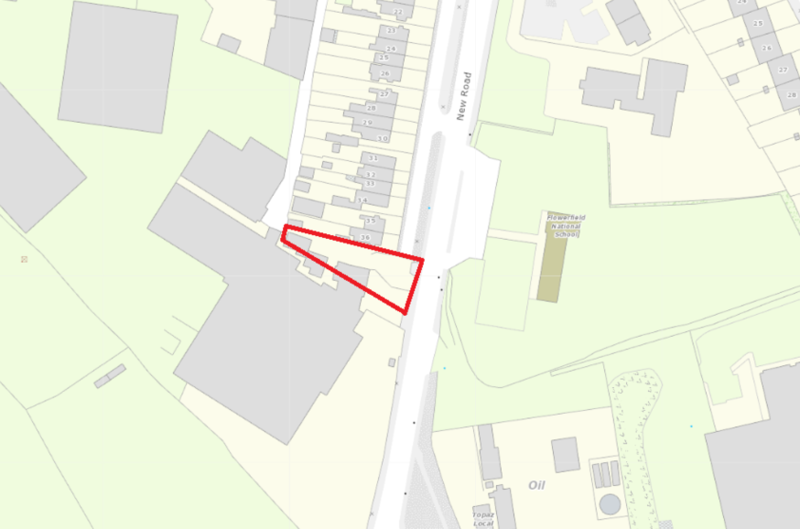 The property comprises a well-located infill redevelopment opportunity and there are a number of derelict blocked up single storey residential buildings present on the site.